-= Gametoast.com =- - View topic - EA Styled BFII mods? I'm looking for good EA themed BFII mods that use good FP view models, and sounds from the game from guns and characters, because I like the coat of paint the new battlefront has but I simply refuse to give my money to EA. any side mods or maps would be cool. 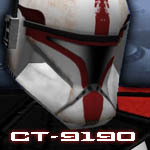 Re: EA Styled BFII mods? We have a few great maps up and coming. Look for Battlefront (2017) in the Work in Progress forum. I know of Crait and Kashyyyk, but I think there's one more I'm forgetting. But in regards to sounds, models, etc the EULA lets us borrow from Star Wars games before EA took over, but nothing under their reign, so unfortunately no EA SWBF models or sounds. But there are some members who have higher definition models (take a look at he SWBF3 Legacy mods) that really make this old game shine. I know his Assault on Theed map is also out - you can check the Released Maps/Mods section of the forum. I tested Lorul1's Kashyyyk, which he's still making, so like Teancum said - yeah, you can check the WIP forum. If you're interested in other mods, there are still some great high-quality ones still roaming about that's been keeping this game alive since 2005. It's 2018 now, yes? Wow, almost 13 years already (it came out in November of 2005, so come November we can celebrate 13 years of SWBF2! I think some SWBF2 MP with the Steam version is in order sometime, yes?). If you want to take up modding, there are the ModTools, and some fabulous texture editing software out there as well. In addition to all that, there are assets made by the community which look close to BFII EA textures/models, so you can always ask. If you're reluctant, I'm sure if you give it some time, there will be plenty of maps/mods revolving around EA BFII. I'm not sure about good FP view models, because animation-wise you're very limited, though what do I know about that? I just make maps and work ODF's and do skins. Teancum wrote: We have a few great maps up and coming. Look for Battlefront (2017) in the Work in Progress forum. I know of Crait and Kashyyyk, but I think there's one more I'm forgetting. But in regards to sounds, models, etc the EULA lets us borrow from Star Wars games before EA took over, but nothing under their reign, so unfortunately no EA SWBF models or sounds. But there are some members who have higher definition models (take a look at he SWBF3 Legacy mods) that really make this old game shine. That means that I can't use sounds recorded from EA's Battlefront 2 in my mod? Correct. People do, but they don't post their mods here. It's against the rules. We follow a specific End-User License Agreement here, if you'd like more information. You can, however, recreate with available assets. It won't be 100% accurate to the feel of the new games, but it's a close second, and fits within the rules. Like Teancum said, it'd be against our rules to convert models from EA/DICE. It depends on the forum, too. Others may be more lenient in these cases, but don't post anything here if it's not covered in the EULA. I personally try and keep the administrators here informed of what model I was planning to use and if it's okay to use it - guess that makes me really cautious, but it's a courtesy. 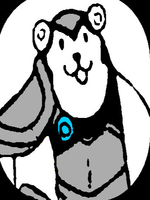 In any case, I hope you enjoy your stay here with this fantastic community that's been here for...well, forever.